A preface from the pen of the late Marshal Lyautey introduces this book, which is an abridged translation of the Chronicales of Gomes Eannes de Azura, recording the siege and capture of Ceuta by the Portuguese, and the discovery of Guinea. Ceuta was captured because of the sons of John I--who had married the daughter of John of Gaunt--were ripe for knighthood , and rebelled against the bourgeois notion of receiving the acolade during a series of State banquets. Nothing less than the taking of a city from the Infidels would serve their turn; their knighthood must be truly earned and so Portugal became posessed of Ceuta. The second part of the book deals with the discovery of Guinea, Senegal, and Sierra Leone by Lancarote and others. 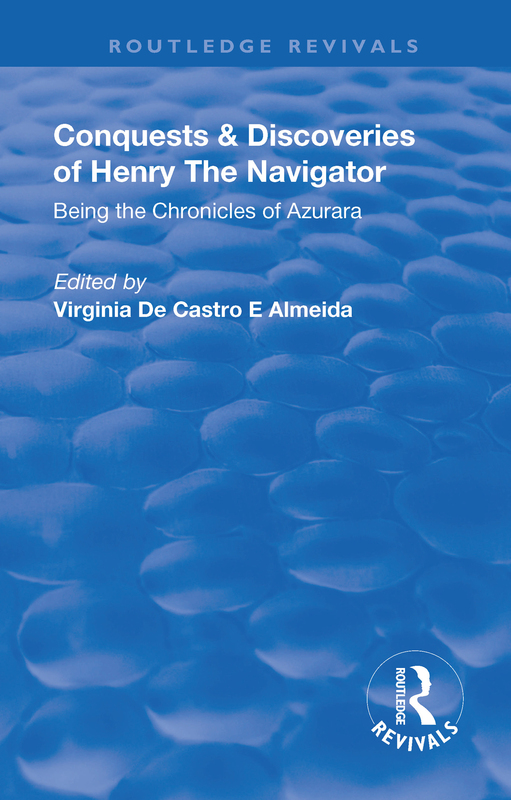 The Chronicles, which made most excellent reading, have been edited by Senhora Virgina de Castro e Almeida, who is compiling an anthology of contemporary accounts of the great Portuguese navigators and colonists of the fifteenth and sixteenth centuries.